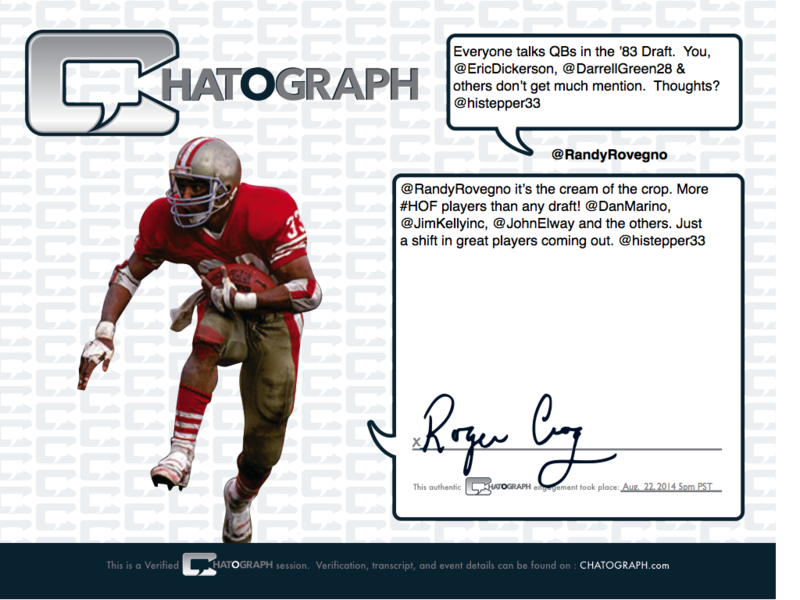 Don’t just get an autograph, experience a CHATOGRAPH™! Every CHATOGRAPH™ interaction includes your personal conversation on a limited-edition, hand-numbered 8.5″ x 11″ certificate autographed by your celebrity! Now you can show your family and friends that you had a one-on-one engagement with your favorite players and they signed your unique conversation transcript. Post on your social media or display it on your wall. No two are alike and it’s the ultimate personal memorabilia keepsake.